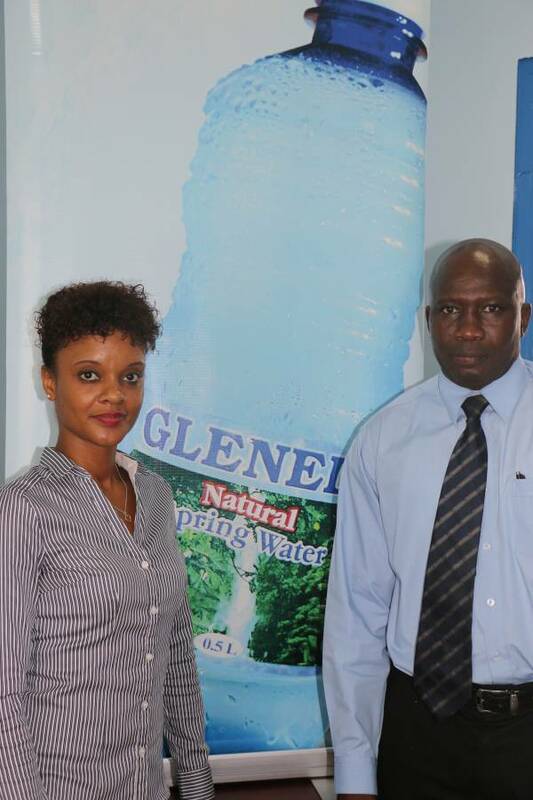 The Pure Grenada Musical Festival is proud to announce yet another Grenadian business entity — Glenelg Spring Water — as a major sponsor. The agreement comes just 6 months shy of the scheduled dates for what is being billed as “the-first-of-its-kind, one-of-a-kind” activity to be held in Grenada from 5–10 April 2016. A distinguished line up of artistes — international and local — including soul singer Joss Stone (UK) and international reggae band Steel Pulse (UK) will be part of a magical, musical experience over 6 days in distinctly picturesque locations across the island. Bottlers of local spring water via Managing Director, Mrs Afia Joseph, proudly presented the cheque to Chair of Steering Committee Jana Caniga. Mrs Joseph confirmed her company’s early interest in the event saying, “Pure Grenada, Pure Glenelg goes hand in hand”. Mrs Joseph further commended the organizing team and pledged her organisation’s continued support to guarantee the event’s success. As the first major initiative of Music and Beyond — the non profit organisation created with the objective of developing musical talent in Grenada — festival organisers continue to appeal to music lovers everywhere and especially Grenadians at home and abroad to get involved not only to ensure the success of the event, but, also the future of Grenadian musicians.